Beautifying highlighter that will add a sensual, radiant glow to your skin. 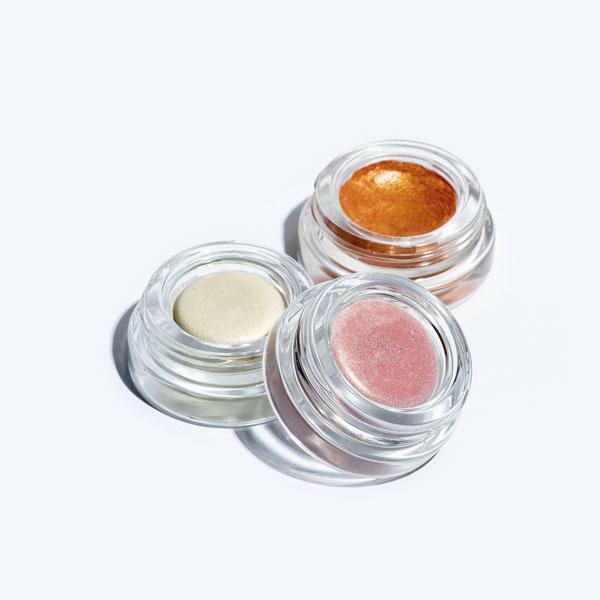 Sunset Glow Shade – vivid, gold, apricot, sensually opalescent. Perfect for all tones and types of skin. Natural, sensual illuminating glow in a light and creamy formula. Illuminating mica naturally reflects and disperses light, creating an effect of satin opalescent make-up finishing. Precious oils: coconut, castor, almond, sweet orange and vitamin E illuminates, hydrates and smooths the skin boosting its natural glow. Apply it with your fingers or with a brush directly on your skin or as a make-up finish: on your cheekbones, eyelids, eye corners, eyebrows, bridge of the nose, Cupid’s bow, neckline, arms, and collar-bones. For a stronger effect apply using on top of a blusher, bronzer or lipstick. Does not irritate or clog skin pores. Cruelty Free. Not vegan due to beeswax ingredients. 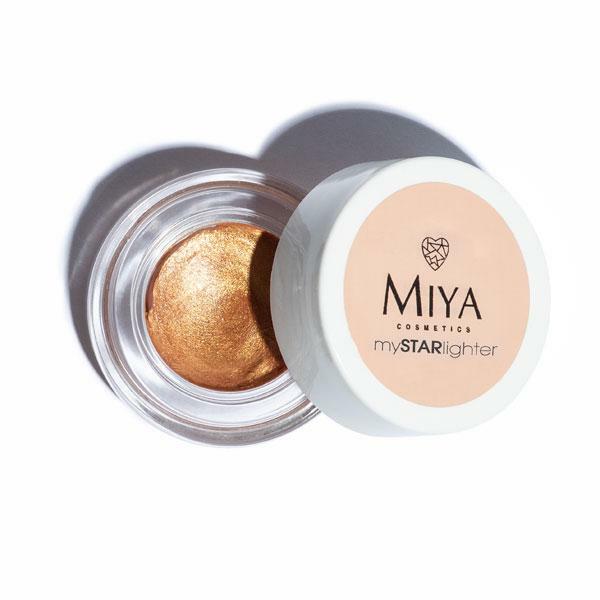 Natural highlighter, which reflects the light and highlights your natural glow. Our combination of skin care and make-up leaves your skin with a radiant sensual glow. Make-up which enhances and highlights your natural beauty. It will make you feel naturally beautiful and glowing. You can use it solo or to highlight your make-up. It all depends on what effect you need and what you like. Works effortlessly and immediately. Works great even if you are in a hurry. Just open, apply, and you are ready to go! Illuminates and adds a sensuous natural glow. Enhances the skin, softens and smooths. Illuminates and adds extra glow. Nurtures, regenerates and maintains optimal skin hydration. 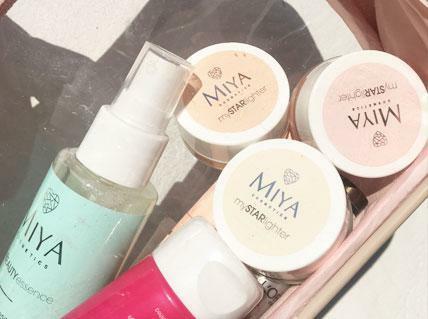 mySTARlighter perfectly works not only with you and your skin, but also with your surrounding. It naturally reflects the light to bring out your own natural glow. You can use this product in many ways. 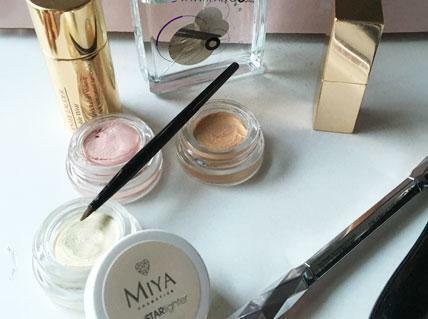 Apply with your fingers or with a brush to your cheekbones, alongside the nose, on inner corners of eyes, on the middle of eyelids right above eyelashes, and on Cupid’s bow above your upper lip. Apply also on your neckline, arms, shoulder blades. Apply on the top of blusher, bronzer, lipstick. will adapt to the needs of your skin and your lifestyle. When you need a natural effect. Start with your favourite myWONDERBALM cream. 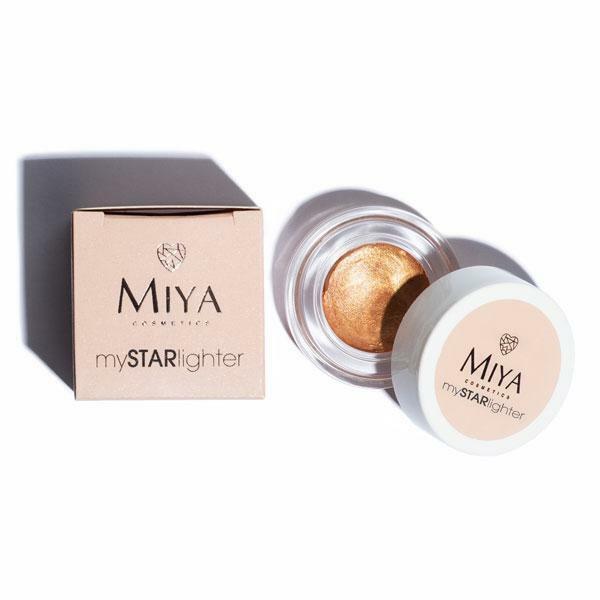 Delicately apply illuminating mySTARlighter directly on your cheekbones, eye corners and lips, and you are ready! Always have it with you in your make-up bag. It will immediately illuminate your skin with sensual glow and you will be ready to go in no time! When you want to highlight your makeup with a light sensual glow. Start with myPOWERelixir serum, apply your favourite base, blusher and bronzer. 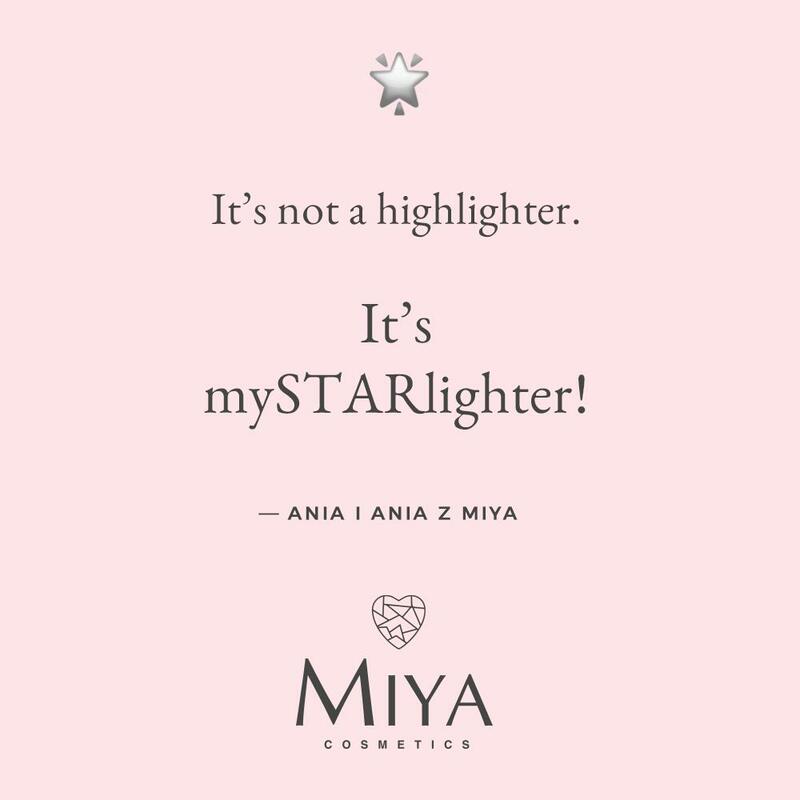 Illuminating mySTARlighter will highlight your make-up and add a sensual glow to your appearance. You are ready!